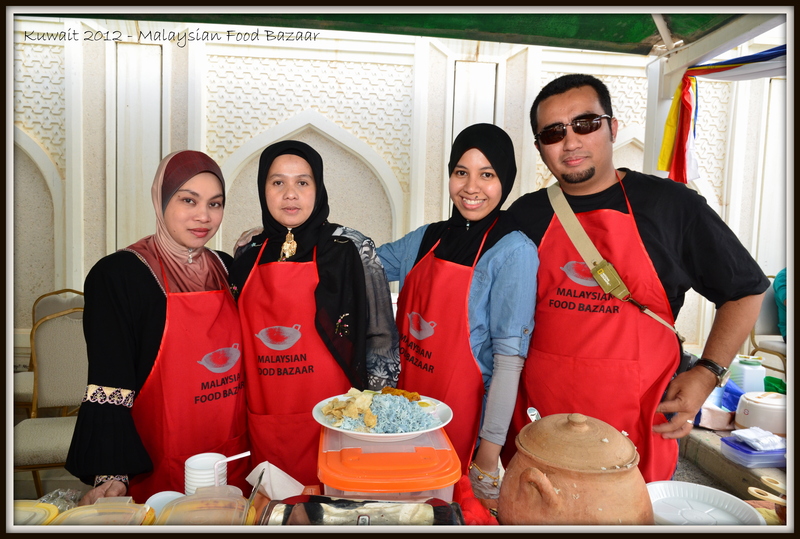 Alhamdulillah the Malaysian Food Bazaar Kuwait that was held on 31st March 2012 ended with a smile on everyone’s face. Mabrook to Datin Azlinda and everyone that had worked hard to make this event a memorable one. Everyone had a butterfly in their stomach the night before and some of them didn’t get any sleep at all… that was how nervous everybody was but the day progressed smoothly with very minimal hick-ups, and for that we thank Allah for making everything went as plan. 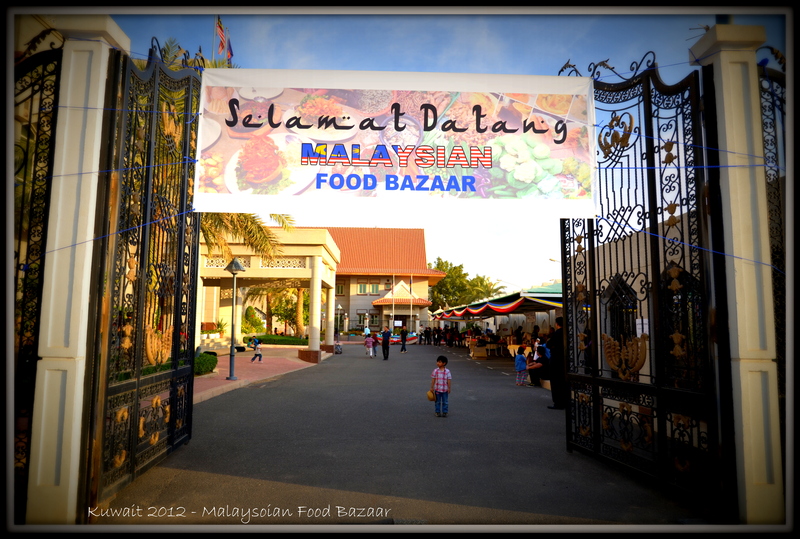 We had a total of 8 stalls that day ; rice, kuih(dessert), snack, laksa , drinks, satay, noodles and handicraft. 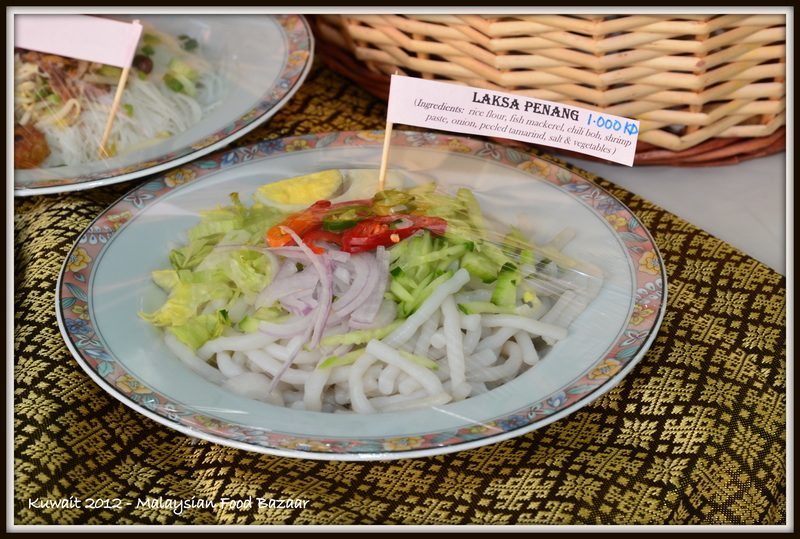 Among the dishes that were showcased during that day were Satay, Nasi Lemak, Beef Rendang, Asam Laksa, Mee Rebus, Nasi Dagang and Nasi Kerabu. Besides that we also have desserts and favourite teatime snack such as Bingka Ubi, Kuih Lapis, Keropok Leko and Pisang Goreng (Fried Banana). We also have Mee goreng and Kuey Teow goreng stall where the noodles are fried on the spot once you place the order, kinda like Pasar Malam style and believe me when I say that people do not mind waiting for their mee goreng as long as they had it freshly fried in front of them. This stall was one of the popular stall because you can see a lot of people queuing to place their order. 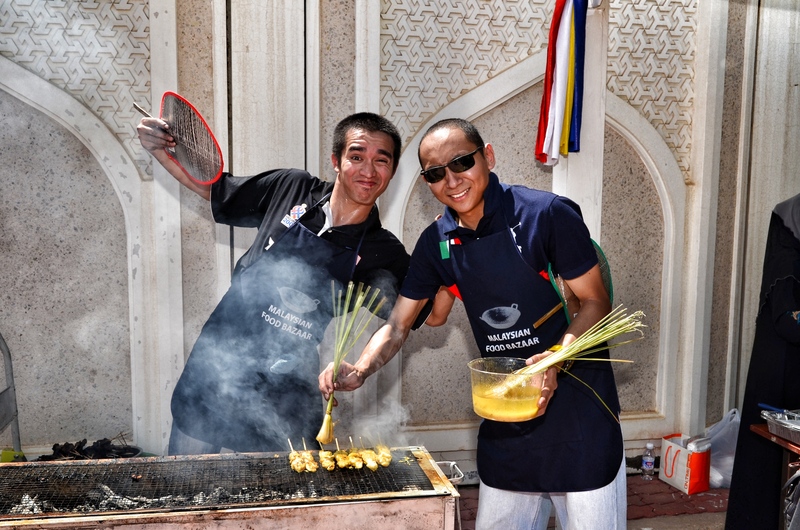 Having said that I think everyone would have guess that satay was the most popular dish for the day, we made about 2500 sticks of chicken and beef satay and after 1 hour of opening time, 1000 sticks were already gone. Alhamdulillah and mabrook to all that have helped in preparing about 60kg of chicken and beef few days prior to the event. Back track a little bit he he he, on that day, the volunteers started to arrive as early as 8 am to make the last minute preparation such as decorating the stall, cutting the nasi impit, fruits and vegetables. Getting ready…. 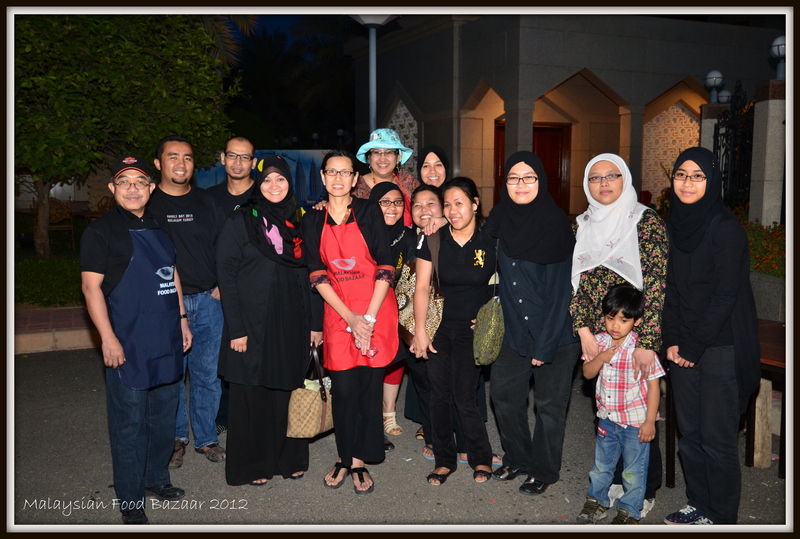 TYT Dato’ Adnan – Malaysian Ambassador to Kuwait (in yellow) pun turun padang. I was in charged of the Dessert stall. Okay…let me get this clear… my responsibility was to find volunteers to bake all the kuih and also making sure that everything run smoothly on the day of the sale, and baking the kuih was not part of the job kah kah kah. 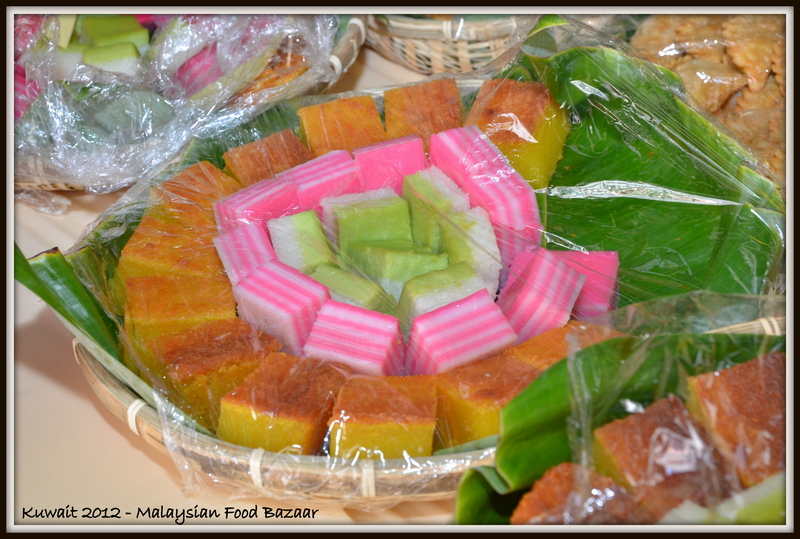 On that day we had karipap, bingka ubi, bingka jagung, kuih bakar, kuih seri muka and kuih lapis at our stall. All the kuih were gone by 3 pm, alhamdulillah. Thanks to Pn Zarinah and my daughter Aina for “promoting” the kuih he he he. 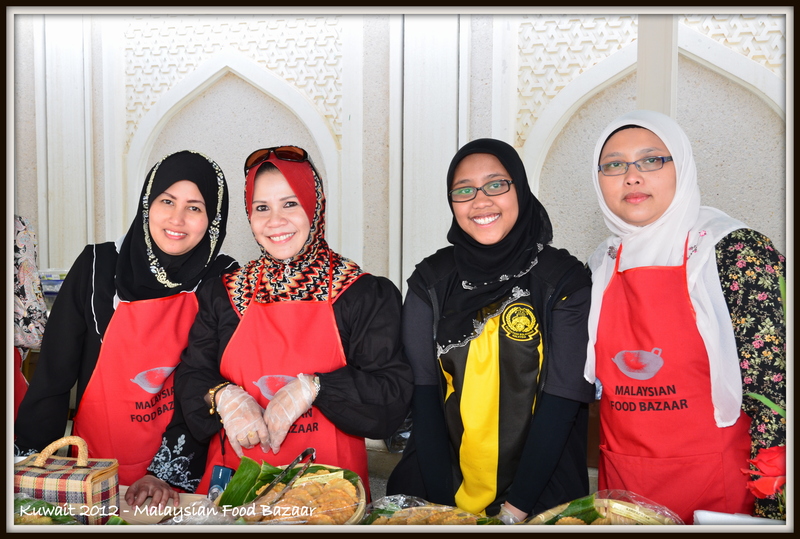 Penjaga warung kuih… Pn Noraniza, Pn Zarinah, Aina (my daughter) and myself. 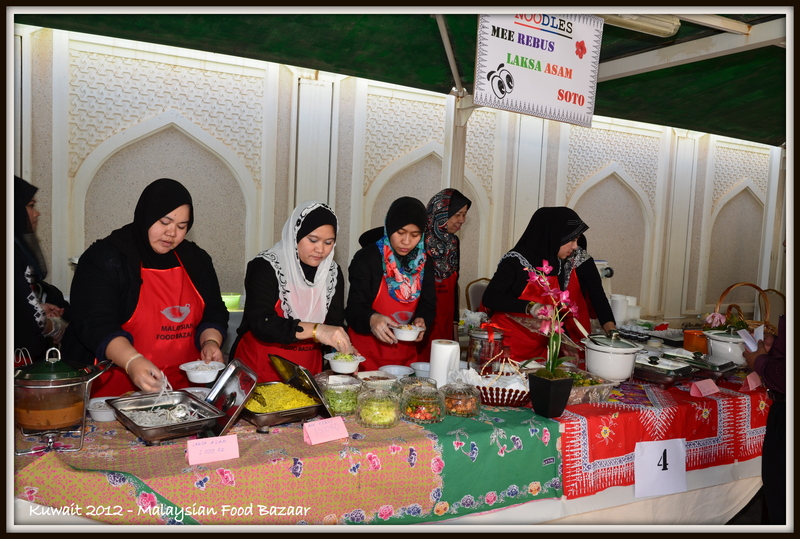 I would be lying if I said I didn’t cook anything for that day he he he, actually I did make a small contribution to this event, I was asked by Datin Azlinda to make Rojak Buah (Malaysian fruit salad). The recipe that I used to make this Rojak Buah sauce was taken from my mum’s famous recipes (perasan la pulak… but nobody can deny that kids always think their mum’s cooking is the best, am I right or am I right? he he he). Alhamdulillah habis la jugak even though not selling like “hot cakes” as kuih bingka ubi Pn Zarinah. 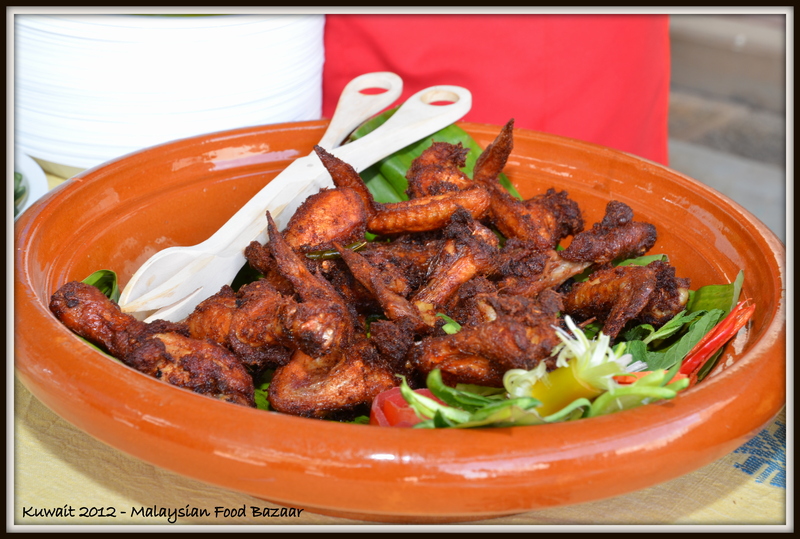 As for the rice stall, nasi lemak was the most popular dish. 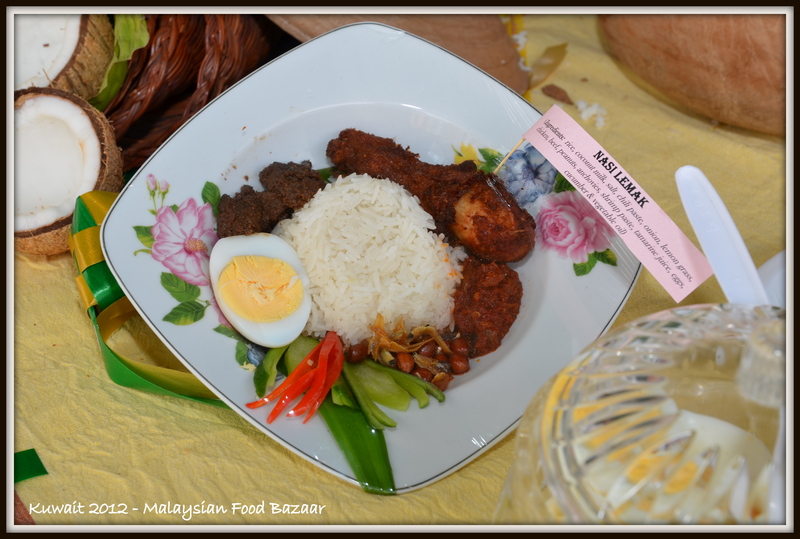 On that day,you could have a basic Nasi Lemak which came with only sambal, anchovies (ikan bilis), hard boiled egg and cucumber or you could asked for extra side dish… either beef rendang or spicy fried chicken (ayam goreng rempah). The spicy fried chicken were freshly fried at the stall and I’ll tell you this … the smell was really “mengancam”… you just had to have it he he he. Besides Nasi Lemak, we also had Nasi Kerabu Hitam and Nasi Dagang Terengganu and of course, they were sold out too by the end of that day. At the Noodles Station, we had Laksa, Mee Rebus and Soto. Unfortunately for me, on that day I only managed to taste mee rebus Pn Mala je… it was marvelous. Compliment to the chef! 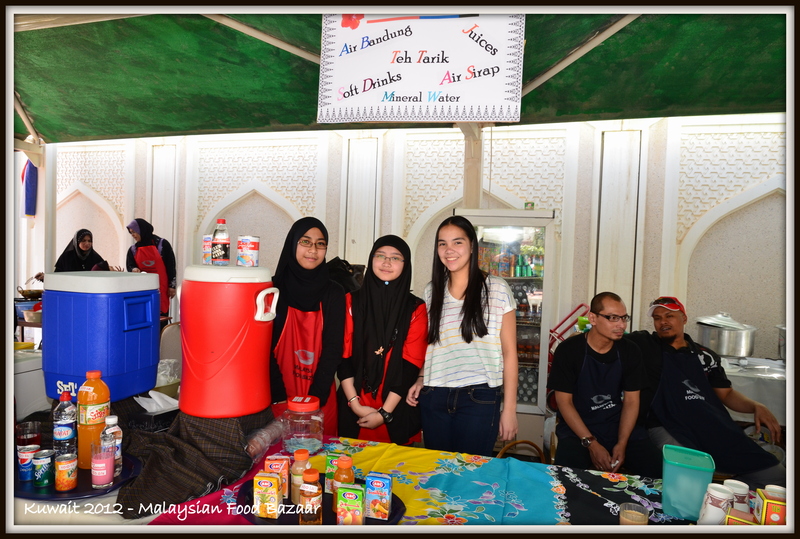 The busiest stall of all was Drink Station… not only because everybody needed to drink after a good meal but also because we had the pretties girls and “cutest” gentlemen serving the drinks he he he (jangan marah ye Pn Eli and Pn Nazar!). Our mineral water for that day was sponsored by ABC Water company. Thank you very much for the contribution. 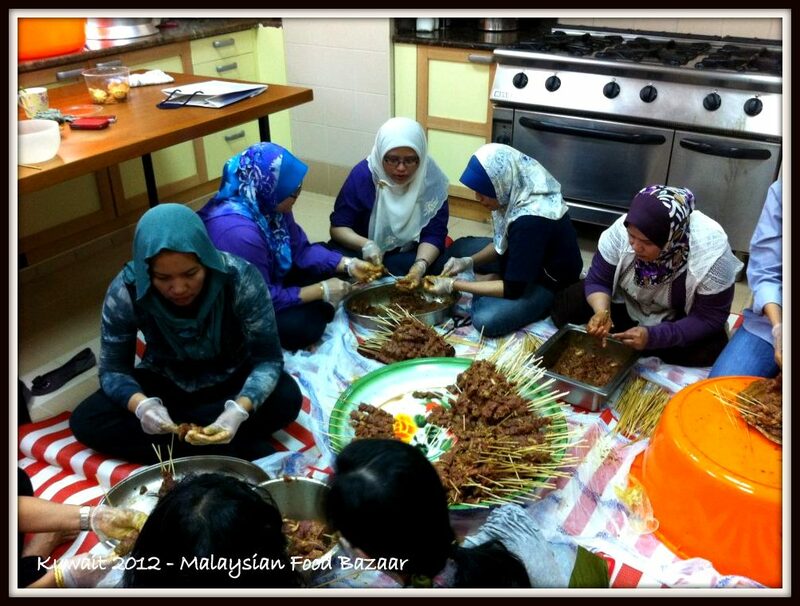 Hope to see you guys again during Hala Feb 2013, insyaallah. Things happen for a reason, right? Most of the time we questions the things that happened to us and we sometimes don’t understand why things happen the way it happens but if you have faith in Allah, you will learn to accept it with open heart. Allah reminds us that all people will be tried and tested in life, so as a Muslim you need to be patient and trust in Allah during these times of trial and we should not let our emotions get the better of us. Remember that Allah never throws you deeper than you can go. He throws you from such a height where He knows yes you may fall, gain a few scratches, and open wounds, but He also knows how much sabr, tolerance and will power you have to stand back up. Love the texture of this cake. 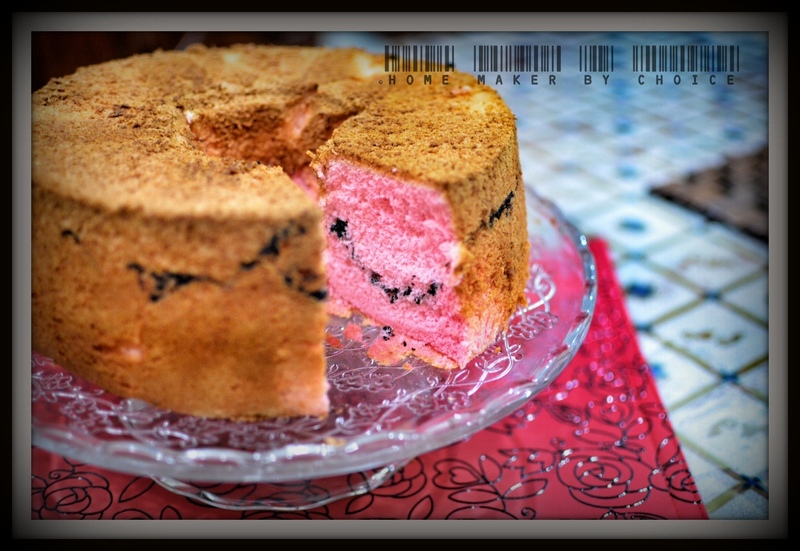 Okay… back to our recipe today… the first time I baked this cake was on Friday for our friend’s house warming event and then I baked it again on Sunday and by the next day semua dah licin he he he. 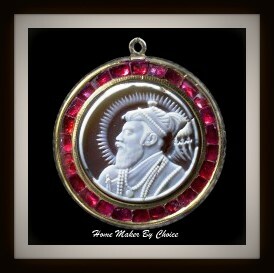 The original recipe was taken from this blog. 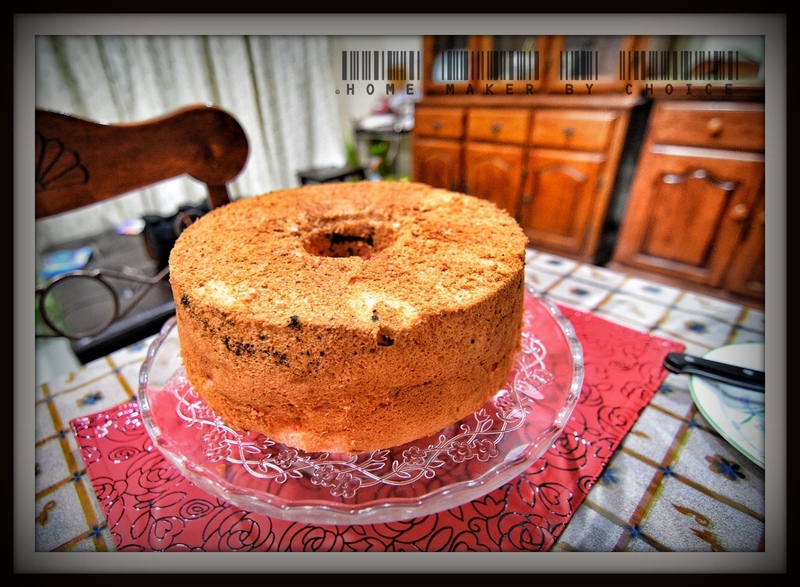 The first time I baked this cake, it overflowed a little bit because my chiffon pan was slightly smaller than 22cm. So the second time I baked it I reduced the quantity of the ingredients. 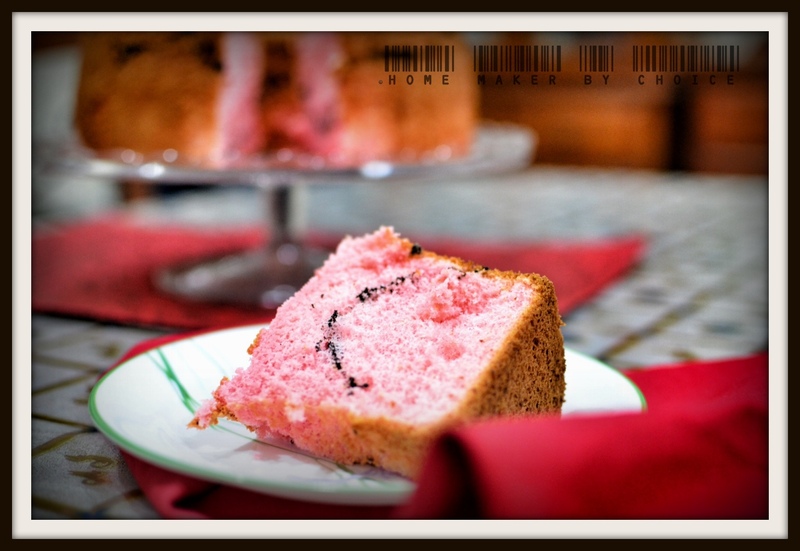 So, if your chiffon cake pan is smaller like mine, please use the one in red, okay? In another bowl.. whisk egg white with cream of tar tar till foamy.. slowly add in sugar a little at a time and whisk till soft peak. Scoop 1/3 egg white meringue and add to egg yolk mixture.. fold in gently. once combined.. pour egg yolk mixture into meringue and continue to fold in gently and lightly.. once mixed pour half of ur mixture into a 22cm tube pan.. sprinkle half of strawberry Oreo.. pour the rest of the mixture and lastly throw in the rest of strawberry Oreo. 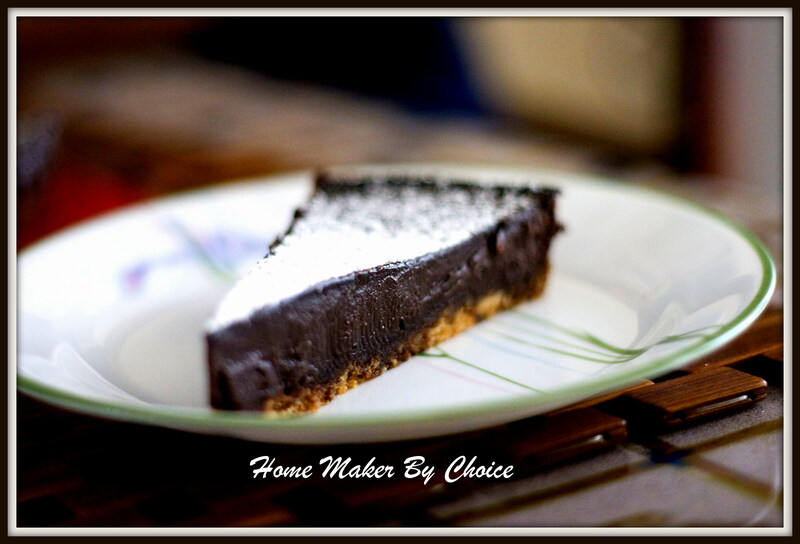 Bake it for 50mins.. once baked.. turn chiffon pan and once its cool.. take it out of the pan.. This is my second time baking this cake in less than a week. Assalamualaikum to all. Hope that you are enjoying your weekend so far. 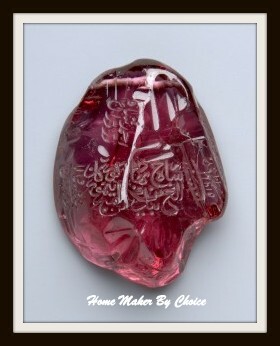 Last Thursday night the ladies here had our weekly Arabic class for the 2nd time and I enjoyed it so much. We learned about grammar… the nouns, verbs and simple connective words. We also learned about pronouns, singular and plural nouns. Sitting in that class brought back memories when I studied Arabic Language during my secondary days and how I wish that I had put in a lot more effort then, so tak de la now ni felt soooo lost di bumi arab ni! Well.. I guess better late than never! By the way, this class is actually organized by the Perwakilan Kuwait and our teacher is a Malaysian student from Kuwait University. 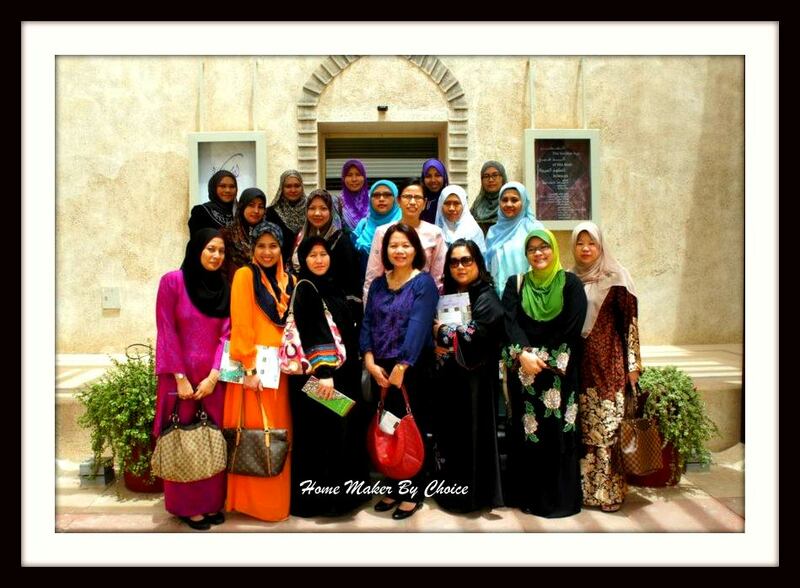 Yes… we do have quite a number of Malaysian students in Kuwait and all of these students are sponsored by the Kuwaiti government. These students were here since they were 14 years old. After they finished their secondary education in Kuwait government school, they will continue with their tertiary education in Kuwait University. Their education fees are fully paid by the Kuwaiti government and on top of that, they receive monthly allowance and also yearly ticket back to Malaysia. Every year the Kuwaiti Government will reserve 3 seats for Malaysian students and most of the Malaysian students here came to Kuwait through Yayasan Islam Kelantan (YIK) and therefore most of them are Kelantanese. Wow… jauhnya dah lari topic ni he he he. Okay, back to the recipe for today…. 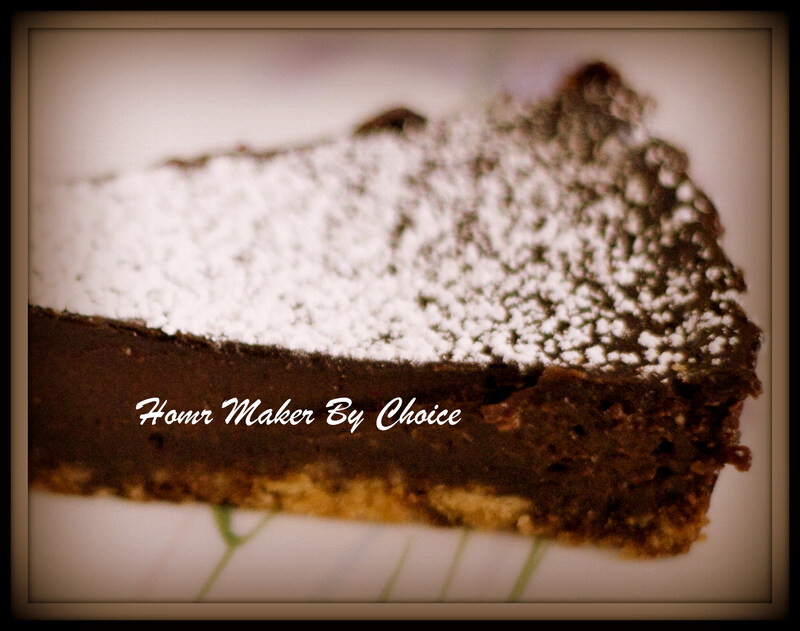 Chocolate Tart. Actually my daughters had been asking for me to make this tart ever since they tasted it during open house of our dearest friend.. En Fairuz and Pn Azlina in 2010 and baru last week I finally managed to make it ha ha ha. 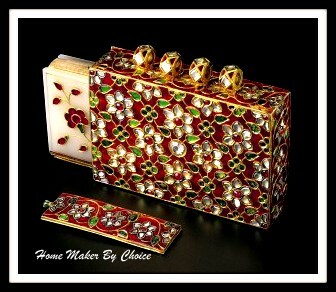 The original recipe is from Food Network – Andy Bates website, so feel free to visit the site. The original recipe used a shortcrust pastry for the base but I am so lazy to make it, so I just used a cheesecake crust muahahaha. For the crust : Mix all ingredients together and press evenly across bottom of a inch spring-form pan. Place in the fridge for 30 minutes. Turn the oven to 140°C. Bring the cream and milk to the boil and pour over the chocolate and stir until chocolate and cream are mixed. Allow to cool for 5 min. Beat the eggs then add to the chocolate and mix well. Fill the crust with the chocolate filling. Carefully place in the middle of the oven and bake for 30 to 40 min or until the filling appears set but with a slight wobble. Yesterday the Perwakilan Kuwait had a visit to The Amricani Cultural Centre or also known as Dar al-Athar al-Islamiyyah. Dar al-Athar al-Islamiyyah (DAI) is a cultural organisation based on a Kuwaiti private art collection owned by Sheikh Nasser Sabah al-Ahmed al-Sabah. Established in 1983 to transform the private collection of Sheikh Nasser Sabah al-Ahmad al-Sabah into a comprehensive exhibition of art from the Islamic world. The al-Sabah Collection consists of a wide range of important objects, which include books, manuscripts, ceramics, glass, metal, precious stones and jeweled objects, architectural ornaments, textiles and carpets, coins and scientific instruments. 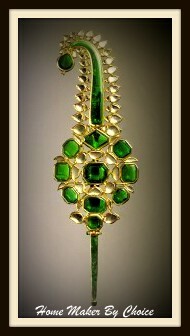 The objects on display were collected and represent the full chronological and geographic spread of the Islamic world. 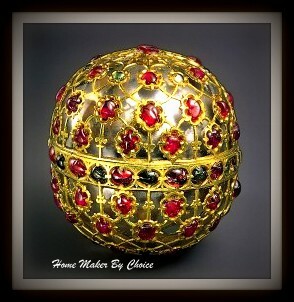 If you are interested feel free to browse their website and these photos are taken from the above website. Happy browsing. Okay…. 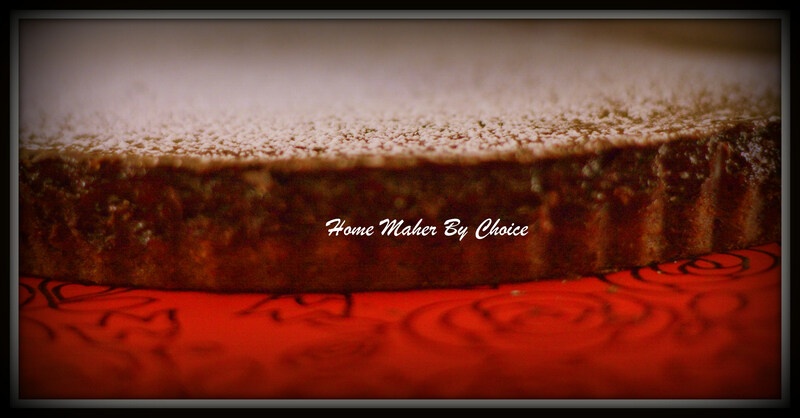 back to today’s recipe which is Black Forest Cake. I have baked this cake at least 3 times since I first stumbled on the recipe. Unfortunately, I forgot where I copy it from, so to whoever yang post this recipe… thank you very much and mintak halal je lah ye! Heat oven to 170C. Gris and place parchment paper on a 7″ pan. Place all ingredients A in a bowl and mix them well using a wooden spoon. Set aside. Place ingredients B in a small bowl and mix them until the cocoa powder fully dissolve. Pour mixture A into ingredient B. Mix well and then set aside. Fold in the egg white into the ingredient A and B mixture in 2 batches. Fold until well combined and pour into the prepared cake pan. Bake for about 45 – 50 min or until skewer comes out clean. Chill mixing bowl and whippers in the freezer for 10minutes. Remove mixing bowl and whippers from freezer. In the mixing bowl, combine the whipping cream and sugar and whip the mixture at high speed until slightly stiff. Cut the cooled cake into three layers. 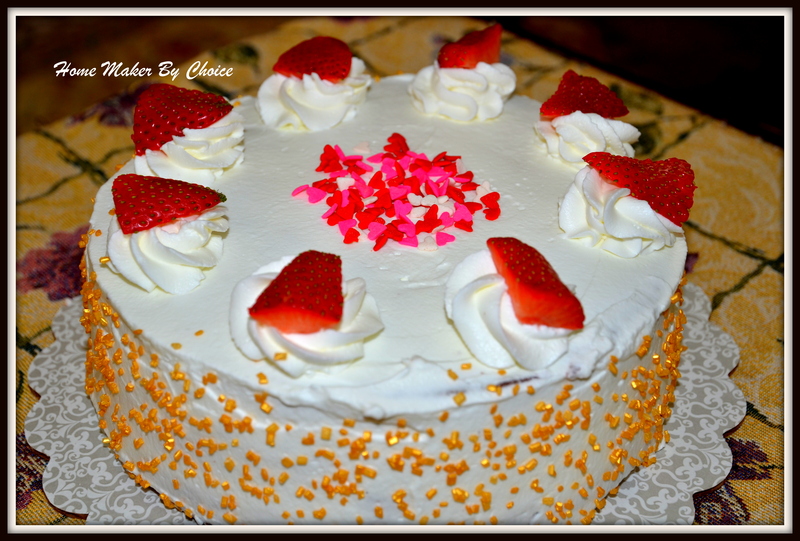 Place the first cake layer on cake board and spread a thin layer of whipped cream on the cake, followed by a layer of strawberry filling on top. 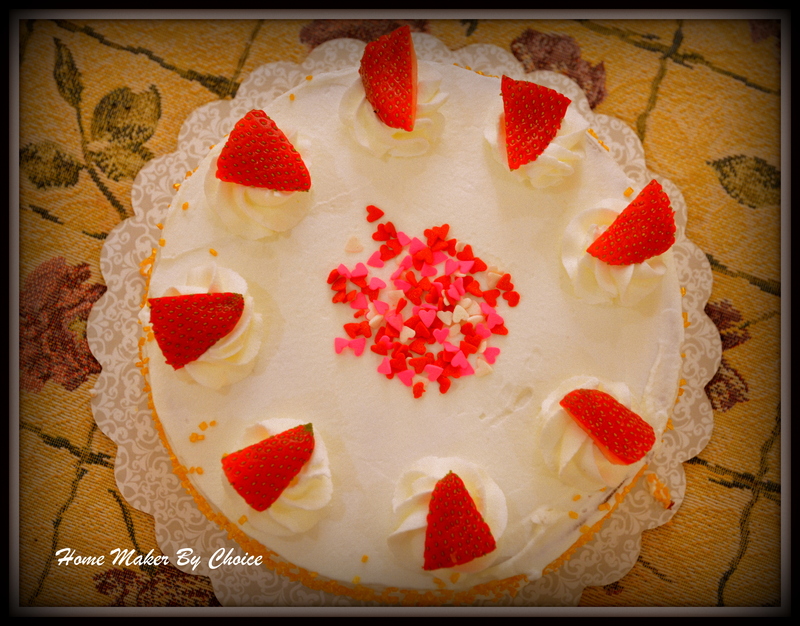 Finally spread a thin layer of whipped cream on your strawberry filling and cover it with your 2nd cake layer.. and continue with the same method till the 3rd cake layer. Spread the remaining cream on the top and the sides of the cake. Garnish the top and the sides with chocolate curls (I just used some sprinkles). Pipe 8 rosettes of whipped cream around the top edge. Top the rosettes with the cut strawberries.